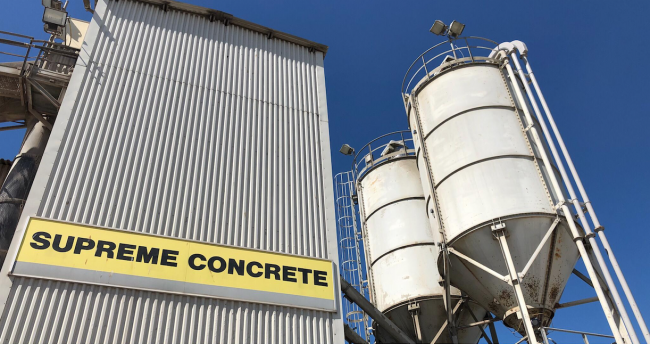 Supreme Concrete, a business owned by Ibstock plc, is undertaking a programme of significant investment at the company’s Sittingbourne factory. As part of the company’s commitment to corporate and social responsibility (CSR), Supreme Concrete has also put in place a new and ongoing programme of training opportunities for its staff – with a particular focus on health and safety. The investment at the Sittingbourne facility – which includes a new toilet block and refurbished mess-rooms – is intended to boost welfare infrastructure for staff. One of the key objectives for the works has been to radically improve on-site welfare facilities for female production and engineering staff. Other projects, including a retrofit of the factory’s lighting to modern, efficient LED lighting technology have had a positive impact. The lighting upgrade has not only delivered energy savings and reducing its carbon footprint, it has resulted in a greatly-enhanced quality of light for factory staff; thus boosting wellbeing at work and contributing to a safer working environment. Richard Davey, Commercial Operations Manager at Supreme Concrete, said the investment at the Sittingbourne site is proof of the company’s commitment to its staff, their welfare and their professional development.